This week I wanted a quick easy bake, I will tell you why a little later…. so I decided to do Mary Berry‘s Special Shortbread Biscuits as I always have a weakness for shortbread. I needed just three ingredients for this, plain flour, butter and light muscovado sugar. Mary “just” says put the flour and sugar in a bowl and rub in the butter and form into a dough….sounds easy huh? Well, I tried ….and I tried…..but it was so crumbly , and I managed to get it into a dough but then it fell apart when I tried to roll it out. Luckily, I thought I would take a peek at Rising To the Berry blog to see how Anneliese got on with this. I was thankful that she struggled with the crumbly mix too. I eventually put the mixing bowl in the microwave and put it on high for 10 seconds. I allowed the butter-which had been at room temperature already to soften a little further and keep the dough together. I managed to roll it out and cut out the biscuits. Even with the smallest cutter, I struggled to get the amount Mary says out of this. At the end of the recipe Mary recommends other varieties including cherry and walnut. They both sound delicious but when your hubby is one of the tasters and doesn’t like either of these, I had a little look in my cooking box and found pistashio nuts. I thought perhaps one or two biscuits topped with pistashios might be different but again hubby wasn’t so keen. Into the oven they went and I set the timer. After the timer went ping, I checked them and to my surprise they were all a golden brown with a fairly even bake so I was pleased! 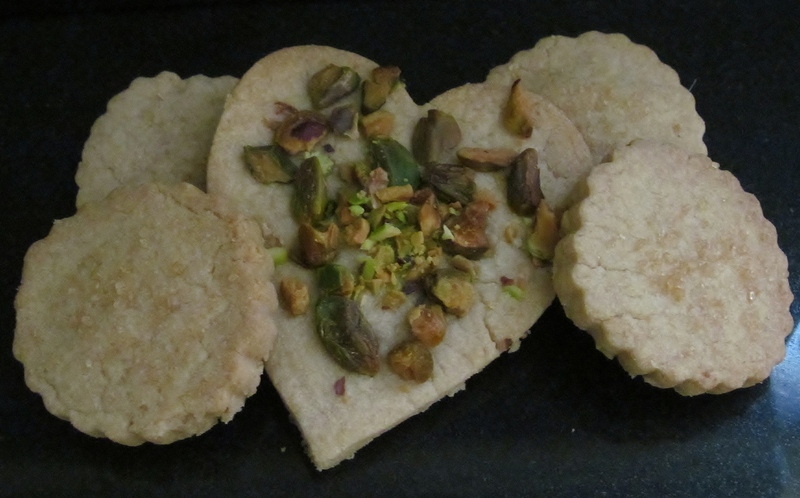 I will even go so far as to say that the pistashio shortbread was lovely! Next week is hubby’s birthday so I feel another Mary Berry “special” cake coming on. 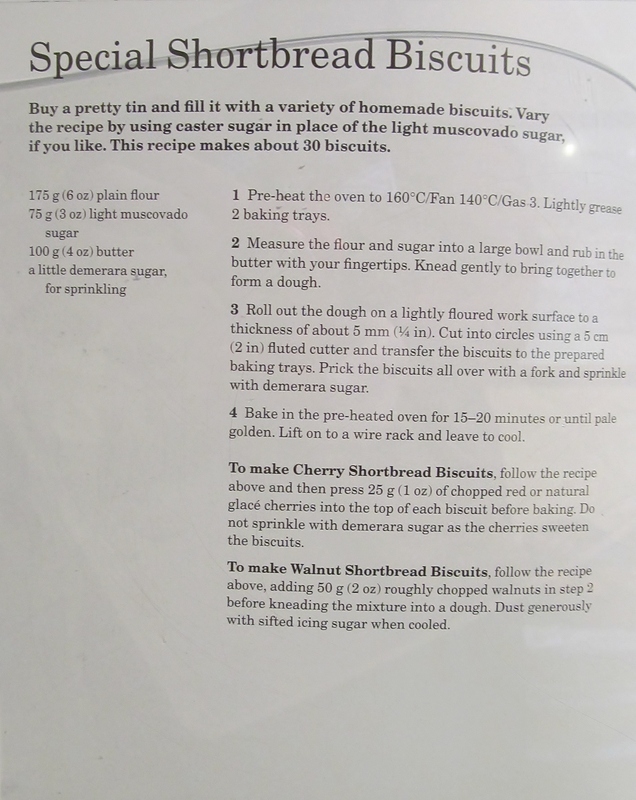 This entry was posted in Kim's cake challenge and tagged Biscuit, Butter, Cook, Dough, Flour, kims cake challenge, Mary, Mary Berry, mary berry's special shortbread biscuits, Shortbread by kimsideas. Bookmark the permalink.